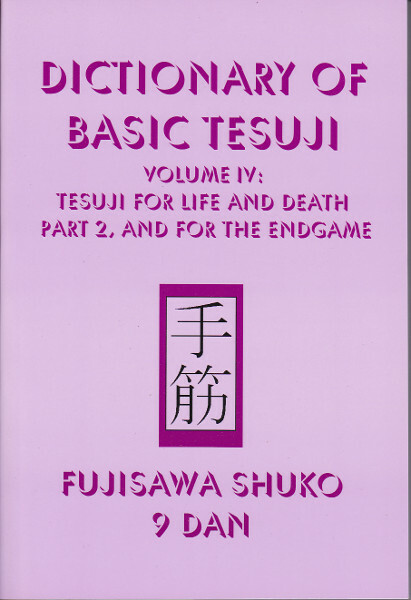 501 Tesuji Problems - Mastering the Basics, volume 4 of 12. Tesujis are skillful moves that accomplish some clear tactical objective, such as capturing stones or a group, rescuing one of your own groups linking up your stones, separating your opponent's stones, making good shape, etc. There are two approaches to presenting tesujis problems. 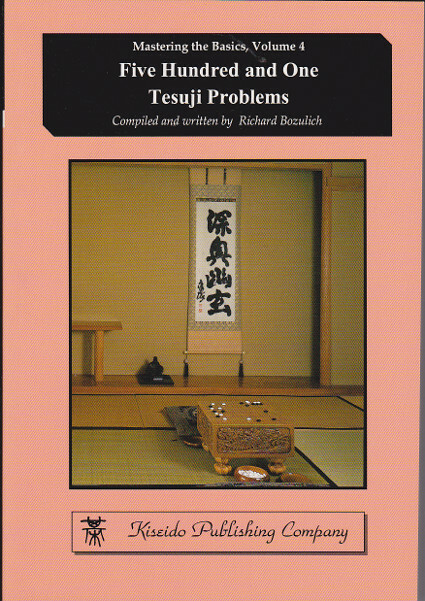 One approach is to collect problems according to the objective that tesujis accomplish. The other is to collect problems according to the kind of tesuji used. In this book the emphasis is on the latter. There are about 45 different kinds of moves that make up tesujis. Each of them is described by a Japanese term. Some of these tesujis occur quite frequently in games, while others are seldom seen. 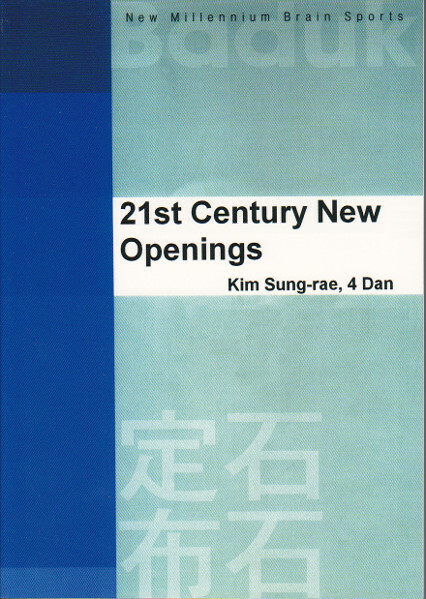 In this book, I have attempted to present examples of every kind of tesuji. The more common ones occur in numerous problems, but even the less common ones will be represented a number of times. 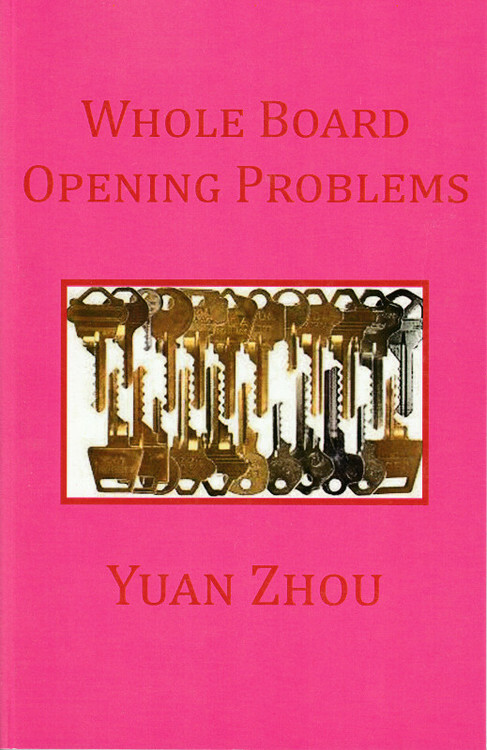 Every tesuji presented in this book can be found among the first 50 problems. All of these different tesujis are scattered throughout the book. Just as in a game, one never knows what kind of tesuji will appear. It may be easy to find it, but often it is hard; it might be a quite common tesuji, but it could be one of those that rarely occur. 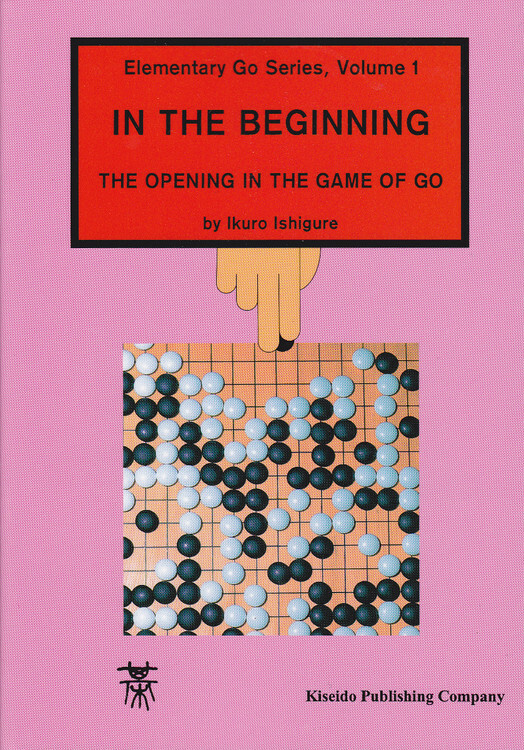 Going through the 501 tesujis in this book will be like getting a tesuji experience in 501 games. 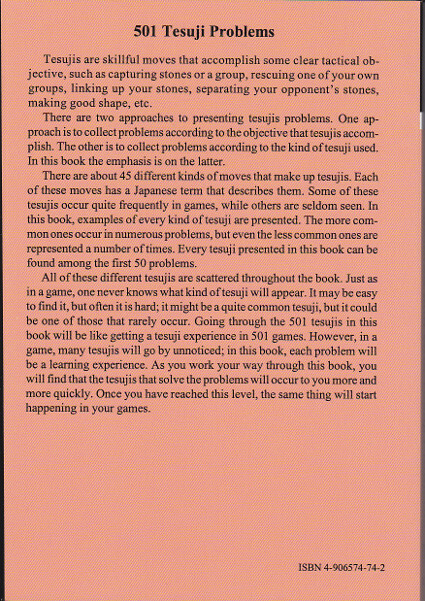 However, in a game, many tesujis will go by unnoticed; in this book, each problem will be a learning experience. Many of the problems are easy, but many are hard. It is recommended that you make an effort to solve each problem before looking at the answer, but don't spend too much time on them. The important thing is to expose yourself to the tesuji. 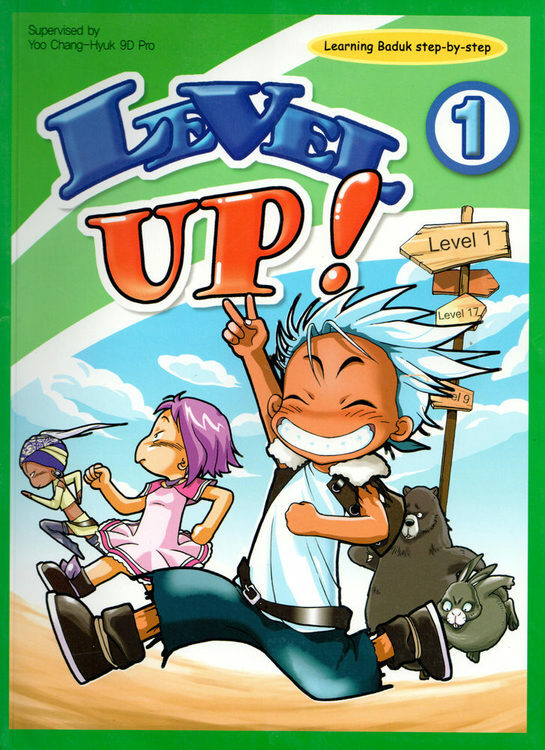 As you work your way through this book, you will find that the tesujis that solve the problems will appear to you more and more quickly. Once you have reached this level, the same thing will start happening in your games.